The Heart bingo pattern will be played randomly in 123 Bingo rooms so be there to collect them.Top 5 collectors will win prizes: 1st: $500, 2nd: $350, 3rd: $200, 4th: $100, 5th: $100. Bertha will pick up your tab for the dinner! You can get your entry into the drawing for Dinner for Two by a simply bingo on the wine glass, candles, diamond ring and cupid arrows patterns. Watch for the Valentine heart pattern to play with a $75 minimum guaranteed cash prize with a $1,000 jackpot! That’s right bingo on this pattern in 12 or less calls and take home $1,000 cash. 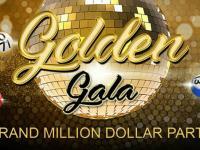 Join in for the Silver, Gold and Platinum Level to win Apple Ipod, Electric Fireplace, American Tourister 4 Piece Luggage Set and more. 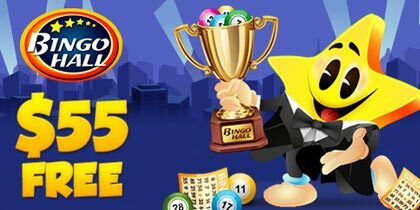 The Bingo League consists of 3 bingo matches and every match lasts for 15 days. 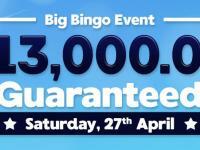 The winners are decided and rewarded based on the number of online bingo wins they score in every match. 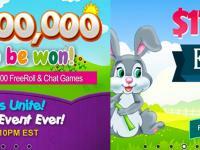 Win and qualify for the 3 matches in The Bingo League month and win pretty prizes and Bonus Points. Mega $25,000 cash Valentine Raffle! Just deposit $75 to get an entry into the raffle for 5 Cash prizes. If you deposit $100 or more you get 2 entries for this Mega Raffle! Enjoy daily dose of Raffles with us by a simple deposit. There will be two winners announced daily. 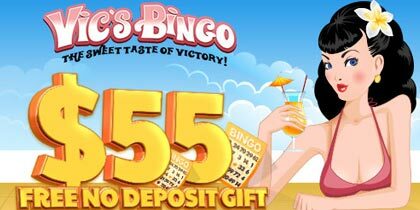 You can win amazing prizes by just making a deposit! Deposit every week and get a chance to win TomTom 5″ GPS Navigator, Coby 5.1-Channel Home Theatre Vizio 32″ LCD TV, Motorola Defy Unlocked Cellphone! 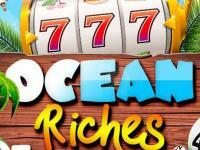 That’s not all: you will get a whopping 100% bingo bonuses over your loyalty on your deposits. Simply make a deposit and for every $5 you deposit collect one HEART. Gather up as many HEARTS as possible throughout the month of February and you could be our next big bingo inner. Try out our new and improved Slot tournament and win amazing cash prizes. 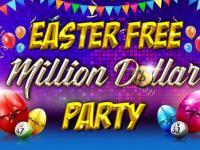 Play each one and increase your chances to win $4,850.